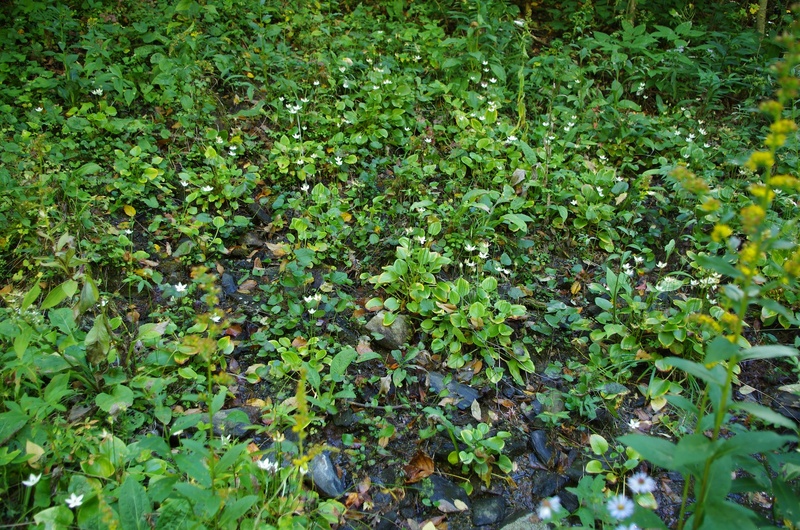 “Fens, gravelly seepages, pineland seepage bogs and ecotones, primarily or solely over calcareous, mafic, or ultramafic rocks, in the outer Coastal Plain in seepage over marl on nearly vertical river bluffs on the Cape Fear River (NC) and in pineland seepage bogs…The discovery of populations of this species in Brunswick and Columbus counties, NC, was remarkable.” (Weakley 2015). Rare in NC Mountains and Coastal Plain. 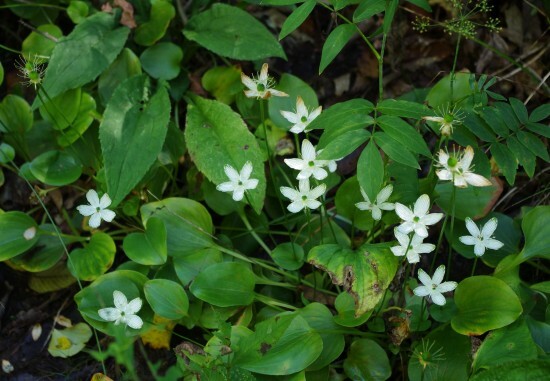 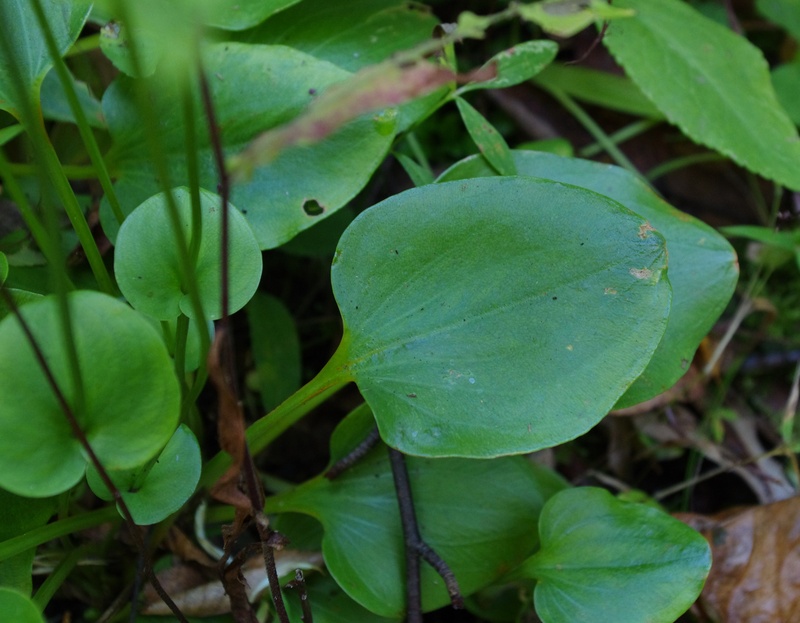 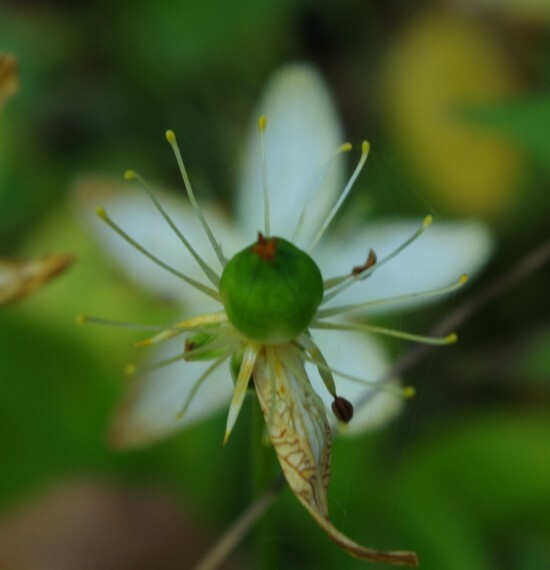 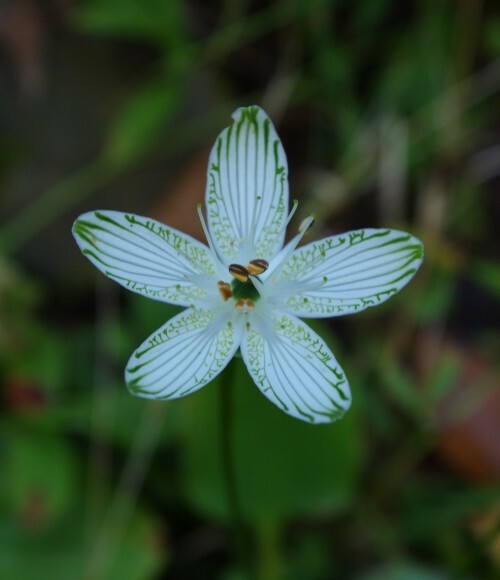 In this photo, Bigleaf Grass-of-Parnassus was growing on a gravelly seepage slope.